The purpose of the LaSh workshops is to foster scientific exchange on subjects related to languages for representing, and methods for solving, computationally challenging search problems. The scope includes study of relevant logics, algorithms, and logic-based systems, and also study of other languages and systems from the viewpoint of logic, broadly construed. Hard combinatorial search and optimization problems abound in science, engineering, and other areas. Examples include planning, scheduling and configuration problems. Several communities have developed general purpose solving technologies for such problems, supported by declarative modelling or specification languages. These include answer set programming (ASP) from knowledge representation (KR), constraint solvers and modelling languages from constraint programming (CP), and integer linear programming (ILP) solvers and algebraic modelling languages from mathematical programming. 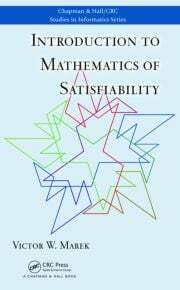 Other relevant areas include propositional satisfiability (SAT), satisfiability modulo theories (SMT), and representation languages based on classical logic and FO(ID). Differences in emphasis notwithstanding, these share the same purpose. Indeed, there are many similarities in solving technologies, and increasing exchange between the areas both in solving and representational issues. From a logical point of view, whether a given language or system is described in logical terms or not, we have languages which define some class of structures, and systems whose purpose is to compute structures in the class. Logic may be seen as an explicit basis for building systems, as an analytic tool, or as a formal approach to viewing the diversity of systems more uniformly. * Ground Solvers and their languages: SAT, ASP, SMT, FlatZinc, etc. * New or extended ground solver languages: SAT+Cardinality, SAT+TC, etc. * Approximation, tractable problem classes, etc. 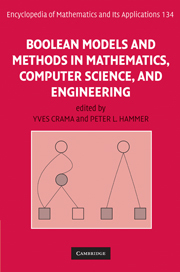 * Proof systems and inference methods underlying solvers. To encourage communication across areas, LaSh is a non-archival meeting. In addition to new technical work, we welcome presentation of relevant material which has appeared at conferences area-specific meetings or general conferences, and also position papers, challenges, system descriptions and speculative work.